In this technology era, there are so many types of electronic gadgets such as smartphones, tablets, laptops, notebooks etc in the marketplace today. Have you ever think of whether the layout of your website could fit on the screen of these different gadgets perfectly so that your target audience could scroll through your website smoothly? Responsive web design is your answer! 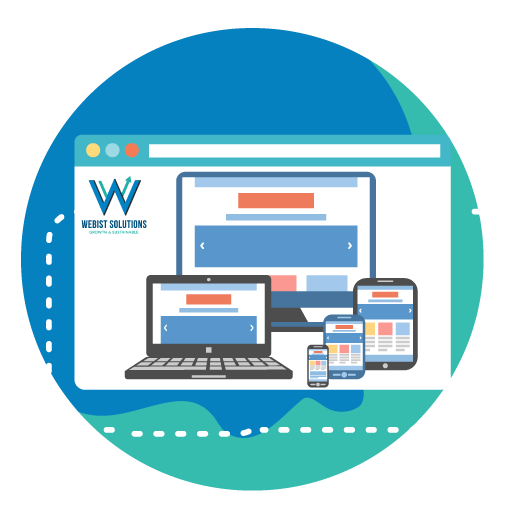 A responsive web design layout adapts to all of the viewing devices out there, whether they are mobile, tablet or a small or larger desktop, to ensure your site is accessible on all devices. The layout is optimized for both computers and mobile devices and all of the components such as Content Management System, shopping Cart etc. A website created with mobile responsiveness will display a different interface depending on what device is used to access the site. By having a responsive website, you’re able to provide better user experience when it is optimized to attract all the different types of browsers out there. You can also increase the number of reach to your audience on mobile or tablet devices, increase the sales and conversion rate, increase the visibility in the major search engines and save the time & cost to develop another mobile version of web layouts.